These are some notes about what Charles and Denise Schryver have been doing. We have separate list of events. 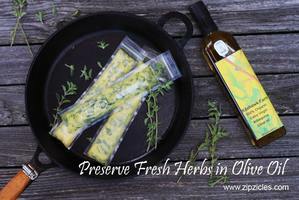 Our friend and her son, creators of Zipzicles, have a recipe for preserving fresh herbs in our olive oil. Jedi, their Belgian Tervuren, approves. For the second year in a row, we won a gold medal at the 2014 Paso Robles Olive Oil Festival. Our 100% organic extra virgin olive oil was judged best by a panel of 9 critics among 20 entries in the Spanish division. After using our organic olive oil on my face and body for the past 2 years, I decided to try making soap. I make the soap in small batches, using organic essential oils for fragrance. The results have exceeded my expectations! This soap is silky, smooth and feels luxurious on my skin. The scents are light and natural, not overpowering or heavy. Try it, I think you will like it as much as we do! Kitehawk received three Gold Medals at the 2011 Napa County Fair. Kitehawk received a Gold Medal in the organic Arbequina division at the 2011 Yolo County Fair for a second year in a row. 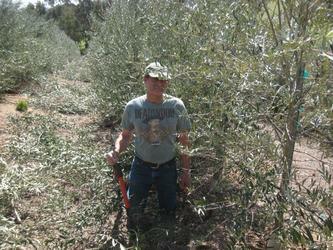 This is olive tree pruning time and I have been pruning for the last 4 weekends. Judging by the amount I need to prune, I must have been negligent last year. 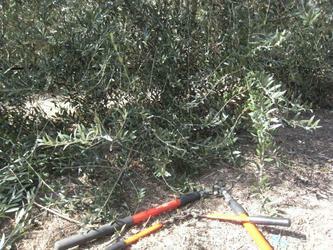 After noting that the pickers last November had trouble getting to those olives I am concentrating on removing lower branches. I was advised to prune all trees up to the 2 foot level, but thought it better to leave as many branches on the trunk as possible to maximize olive bearing. I am also removing large branches that are trying to grow bigger than the main trunk. Arbequina olive trees are really bushes pruned to a single leader, so they have a tendency to focus their growth on a branch instead of a single top. I will come back later to top the taller trees, because pickers cannot pick much higher than they can reach. I will also cut water sprouts. 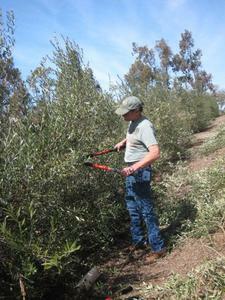 The trees are too young to prune for olive bearing issues. 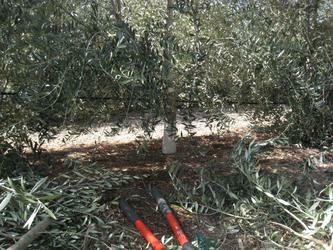 Olives only form on second year branches, and so olives form this year only on growth that was new last year.